Home to breathtaking mountain scenery, ski-perfect powder snow, and iconic hotels that look like they’ve been plucked from a fairy tale, it’s no wonder Banff National Park is ranked among the top travel destinations. A UNESCO World Heritage Site, Banff National Park has two towns (Banff and Lake Louise) and three world-class ski resorts set amongst the backdrop of the Canadian Rocky Mountains. While any visit to this protected piece of paradise is guaranteed to please, there are some stand-out winter activities that will take your visit to a whole new level. Here are some of the most bucket-list-worthy experiences fit for the vacation of a lifetime in Banff and Lake Louise. 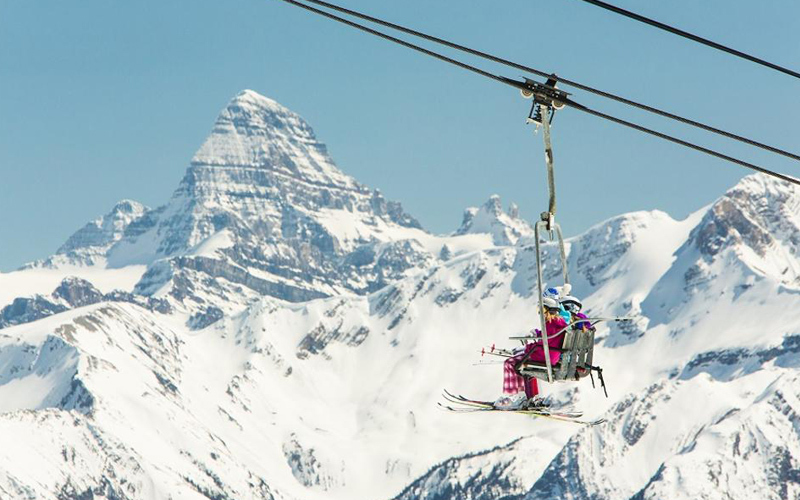 Experiencing Banff Sunshine Village is a must-do for discerning snow-seekers. Sitting high on the Continental Divide in the heart of Banff National Park, Sunshine is only 15 minutes’ drive from the cozy mountain town of Banff. 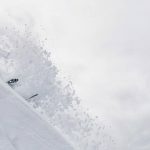 Sunshine Village’s seven-month season stretches from early November until late May – the longest non-glacial ski season in Canada. Sunshine can receive up to nine metres (30 feet) of snow in a season and the its altitude of 7,200 feet ensures the snow stays light and dry. Insider tip: three sprawling mountains provide breathtaking sight lines, uninterrupted by any signs of civilization beyond the resort, allowing for unmissable photo opportunities. 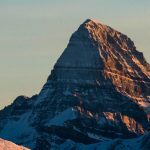 Look out for Mt Assiniboine, known as the Matterhorn of the Rockies. Just five minutes from the town of Banff, Mt Norquay is loved by locals for its outstanding convenience and excellent runs. 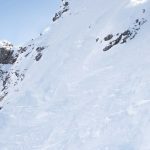 While Norquay is smaller than other local resorts, it offers some of the best learning terrain available together with some steepest runs in the area. And, it is the only resort in Banff National Park with lit night trails and a lit terrain park. Ever flown down a snow-covered hill with the wind rushing through your hair, surrounded by mountain views? Snow-tubing and night-skiing is a unique way to enjoy the slopes. Norquay is well-known for its awesome tube park, and it’s extra fun after dark. 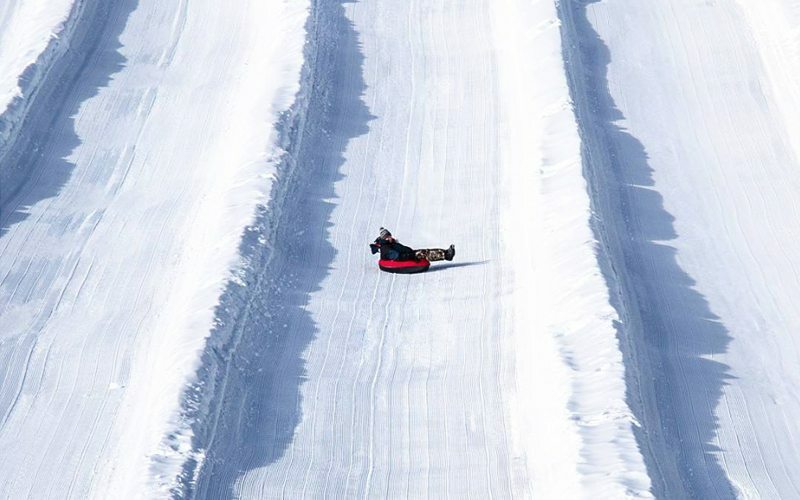 With a snow tube magic carpet and seven chutes with large lanes, a vertical drop of 50m and slide length of 260m, you’re guaranteed a thrill. Finish off your night with some moonlight ski runs and enjoy excellent views over Banff National Park from the Cascade chairlift. 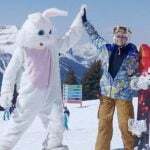 Mt Norquay is known for its awesome tube park, excellent runs and night skiing. Photo: @jonesy.dave on Instagram. 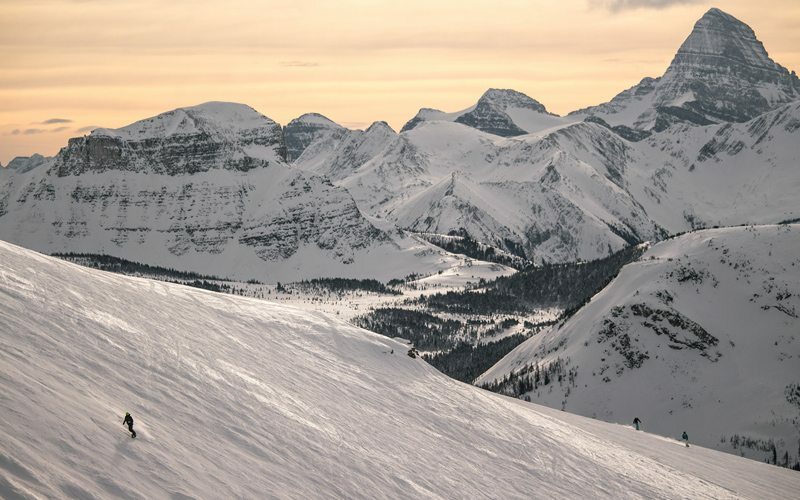 Perfectly situated in the heart of Sunshine Village, Sunshine Mountain Lodge offers the most convenient ski experience as Banff’s only ski-in, ski-out hotel. Here you can wake up in cozy alpine comfort, enjoy a hearty slope-side breakfast and be riding the chairlift within minutes. Insider tip: after a big ski day, rest those tired muscles with a relaxing soak in the hotel’s stunning outdoor hot pool. 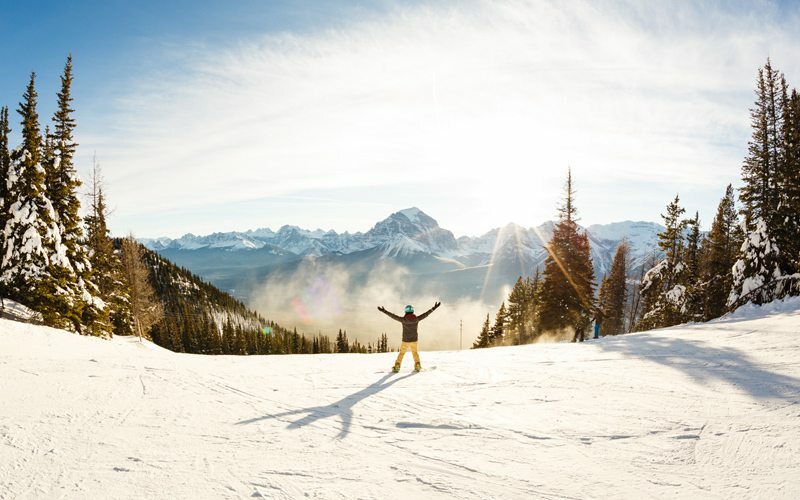 Sunshine Village is home to Banff's only ski-in, ski-out mountain hotel. Photo: Sunshine Mountain Lodge. At the top of the North American Chair at Mt Norquay, you will find The Cliffhouse Bistro where a fine dining menu is served up once a month on full-moon nights, with arguably the best view of Banff in the entire Bow Valley. 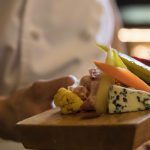 Insider tip: menu stand-outs include a charcuterie platter of locally-sourced Valbella meats from a well-known Canmore-based deli, a beef tartare plate with an Asian twist, and a quinoa salad with maple-roasted butternut squash. Named as one of Canada’s top 10 best ski resort restaurants by Food Network Canada, a visit to Eagle’s Nest Canadian Bistro is a must-do when overnighting at Banff Sunshine Village. Offering a tempting variety of fine dining options, you’ll soon realize that this spot is a step above typical ski hill eateries. Insider tip: the miso-maple glazed salmon and lentil wellington with wild mushroom and thyme velouté are not to be missed. For more mouth-watering meals, check out our guide to must-try local comfort food in Banff and Lake Louise. Eagle's Nest Canadian Bistro offers unmissable on-mountain dining. Photo: Graham Twomey. 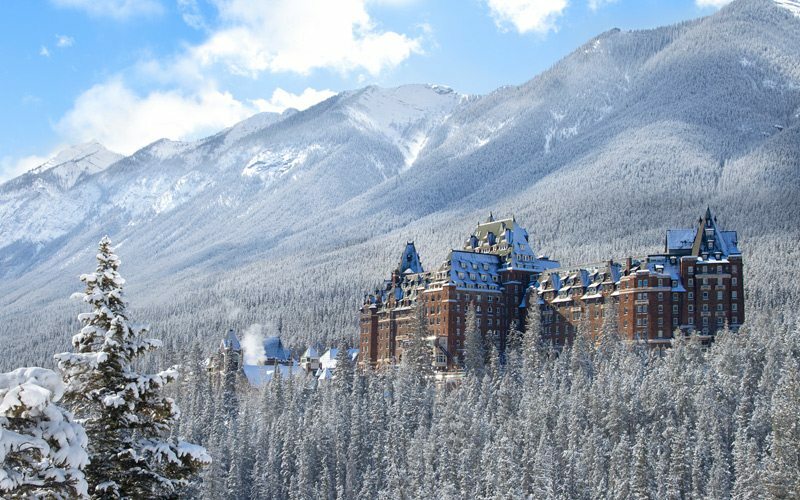 Known as “Canada’s Castle in the Rockies”, the fairytale-beautiful Fairmont Banff Springs was built during the 19th century as one of Canada’s grand railway hotels, constructed in Scottish Baronial style. Want to take the experience to the highest peak of luxury? 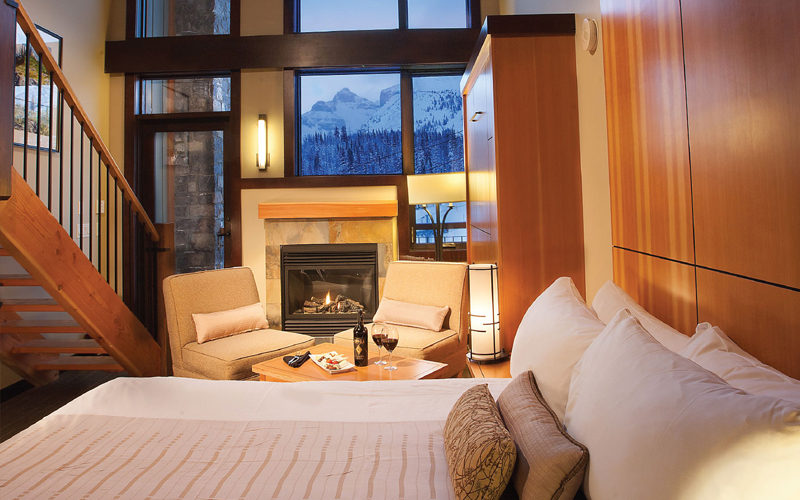 Stay with Fairmont Gold – an exclusive “hotel within a hotel” at Fairmont Banff Springs. Insider tip: the approach to The Castle is majestic – aim to arrive in the early afternoon to allow plenty of daylight to snap some breathtaking photos. The lobby, hallways and hidden corridors also make for some amazing shots. Relax and enjoy the stunning views and luxurious amenities at the Willow Stream Spa, also located within the grand Fairmont Banff Springs. 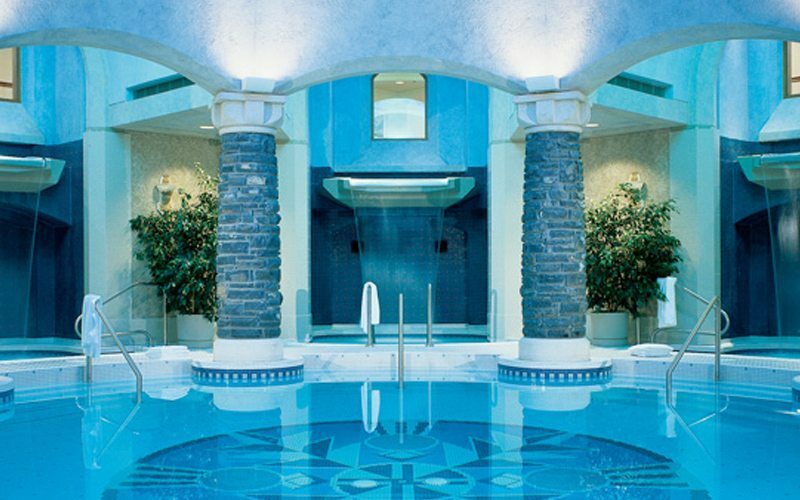 Reminiscent of the hot springs that beckoned travelers to Banff over 100 years ago, the pulsating indoor waterfalls and mineral pool in the heart of the spa are a stunning sight to behold, and are sure to rejuvenate tired muscles. 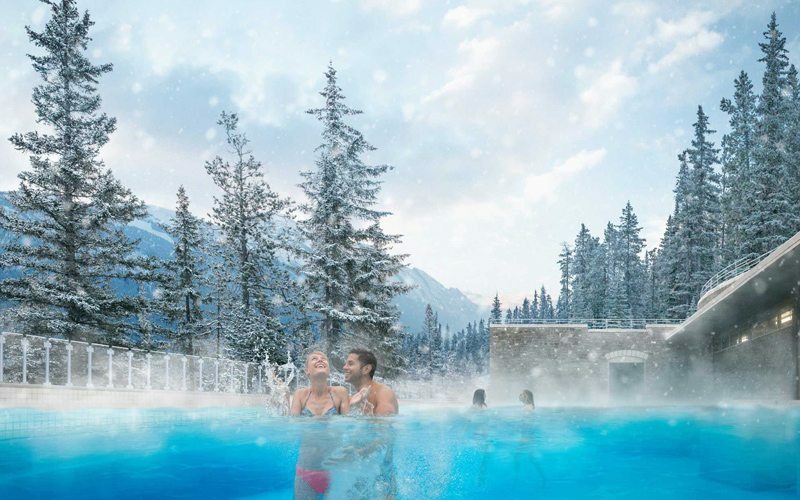 Insider tip: be sure to explore the whole of this stunning facility: step outside into the winter air where the outdoor hot pools are framed by snow and offer a beautiful view of Banff’s Castle Mountain and surrounding ranges. A visit to the stunning Willow Stream Spa is a luxury experience like no other. Photo: Fairmont Banff Springs Hotel. Explore the great halls and corridors of the iconic Fairmont Banff Springs, built in 1888, with a guided tour. You’ll be awed by the timeless architecture, design, paintings, historic moments and the expertise of the tour guides, many of whom have accumulated unrivalled knowledge of the iconic property over decades spent in their roles. After your tour, enjoy a meal at one of the hotel’s exceptional eateries. At Banff’s most authentic Japanese Restaurant, Samurai Sushi Bar, you’ll discover beautifully presented, melt-in-your-mouth, fresh sushi and interactive hot pot meals that are guaranteed to please. Insider tip: featuring an aquarium wall and “party boat” serving platters, Samurai is a feast for the eyes as well as the taste buds. Or, if you’d like to elevate your charcuterie game, pay a visit to Grapes Wine Bar. Here you’ll discover a curated selection of the best house-cured meats, artisan cheeses, perfectly paired preserves, delicious pâtés, candied salmon, freshly baked breads, delicious pickled vegetables, and the finest matched wines. 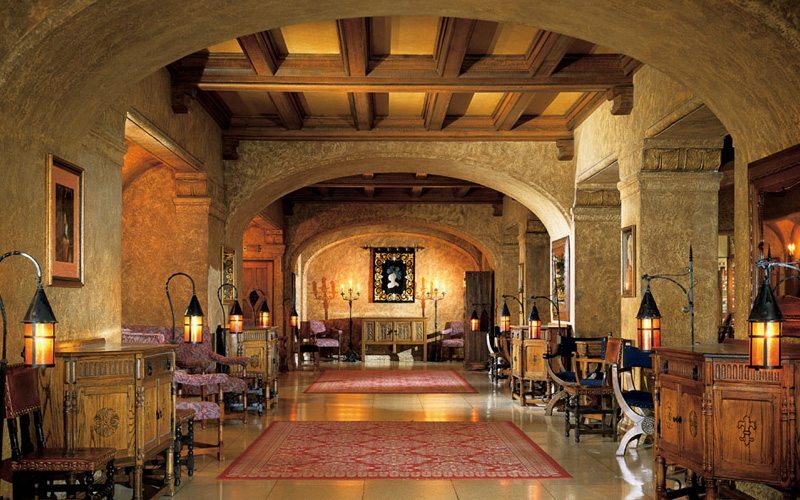 The lobby, hallways and hidden corridors of the The Fairmont Banff Springs Hotel are worthy of their own tour. Photo: Trip Advisor. 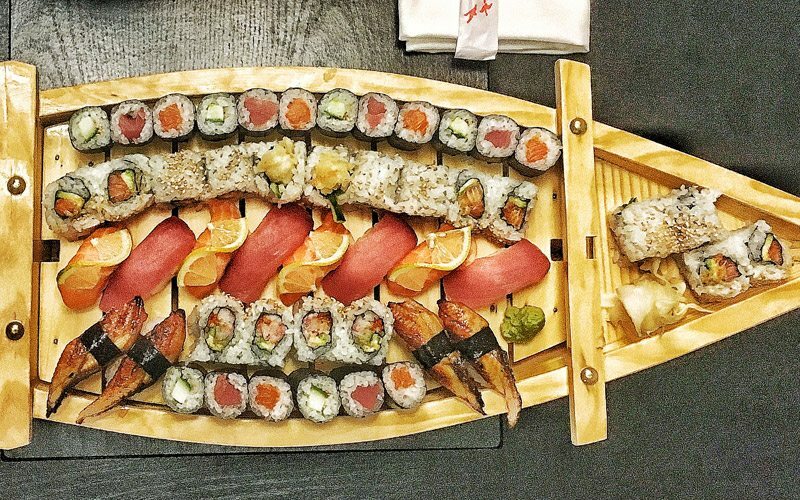 Head to Samurai Sushi Bar and Restaurant for a "party boat" to remember. Photo: Bonnie Harrison. Immerse yourself in steamy hot mineral water and spectacular mountain views at the Banff Upper Hot Springs. Rent a retro bathing suit if you’d like to take the fun up a notch, then enjoy in the views across the valley to Mt Rundle. Insider tips: When you purchase a SkiBig3 Lift Ticket for three or more days, you receive free access to the Upper Hot Springs. If you’re keen to avoid the crowds at this popular tourist spot, do as the locals do – come in the morning for the most relaxing visit. The winter wonderland of Lake Louise is one of Canada’s most photogenic spots, and it will leave you breathless. Just minutes from the village of Lake Louise is the Lake Louise Ski Resort, known for its spectacular scenery and versatile terrain. With over 4,200 acres spread across four mountain faces, Lake Louise is also one of the largest ski resorts in North America. The ski area’s exceptional layout allows families and groups of all abilities to ski together with beginner, intermediate and expert runs from every chair. Insider tip: be sure to take your camera! The spectacular views of mountains, glaciers, lakes and forests are truly unique and befitting of Canada’s first National Park. Lake Louise Ski Resort is one of the largest ski resorts in North America. Photo: Mitch Henderson. Synonymous with the world-famous hamlet of Lake Louise, the Fairmont Chateau Lake Louise is a symbol of timeless alpine luxury. Insider tip: this is a place where you don’t want to forget your camera! Morning, noon and night, the views of the lake and glacier from this iconic property are more stunning than you can imagine. Views from the Fairmont Chateau Lakeview Lounge are worth the trip alone. Photo: Dax Justin. Experience the enchantment of the annual Ice Magic Festival, one of the most iconic winter events in Lake Louise. Watch as talented ice artists from around the world skillfully combine gruelling physicality with precision artistry in an ice carving competition. Wander amongst the emerging sculptures watching the magic in action, ask questions of the carvers, and vote for your favourite. Following competition weekend, marvel at the finished ice masterpieces and try some carving yourself. For a pre-dinner, outdoor cocktail reception like no other, head to the famous Fairmont Chateau Lake Louise ice bar. Insider tip: dress warmly! The ice bar, ice castle and sculptures are located outdoors, close to the ethereal, frozen lake. 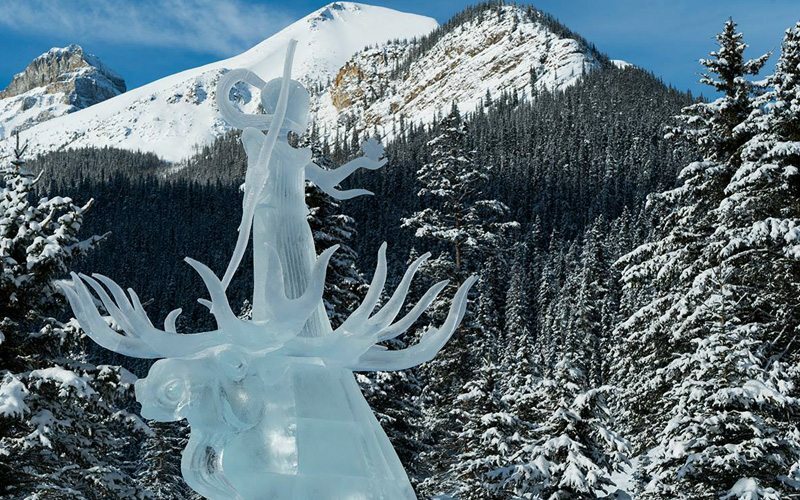 The annual Ice Magic Festival is one of the most anticipated events in Banff National Park. Photo: Devaan Ingraham. Lace up your skates and go for a glide on one of the most spectacular skating rinks in the world, as voted by CNN. During the Ice Magic Festival, you can skate through the awe-inspiring ice castle and past the impressive ice sculptures, with the stunning backdrop of Victoria Glacier behind you. Insider tip: skate rentals are available in-hotel at Fairmont Chateau Lake Louise. 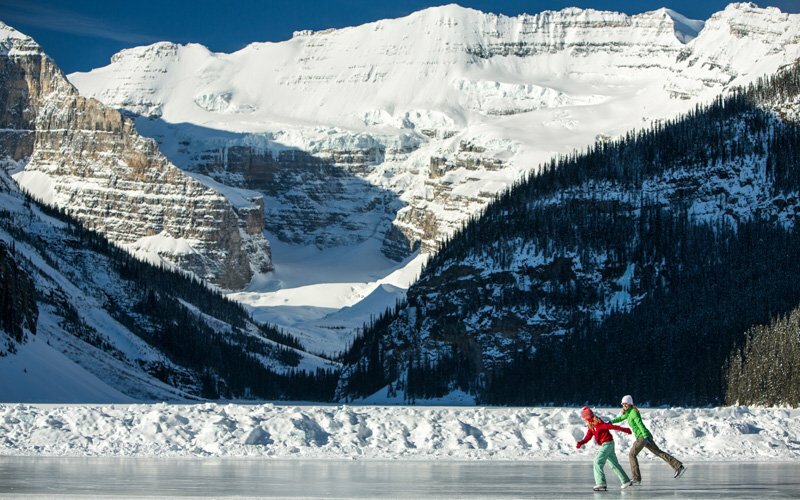 When Lake Louise freezes over each winter, it transforms into one of the world's most beautiful skating rinks. Photo: Paul Zizka. 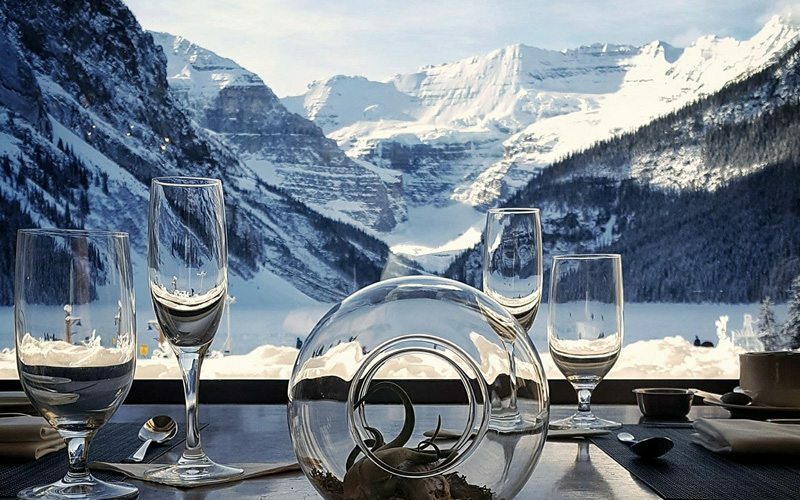 For lunch-with-a-view at Lake Louise Ski Resort, head to fine-dining paradise Whitehorn Bistro. This popular eatery sits mid-mountain at an elevation of 2042m (6700’) with a breathtaking backdrop of Mount Temple, one of the highest peaks in Banff National Park. Enjoy the upscale menu featuring signature seafood chowder, cheese fondue, or a house-made bison burger. Featuring a seasonally inspired and deliciously shareable tapas menu, the Lakeview Lounge at Fairmont Chateau Lake Louise offers guests a one-of-a-kind dining experience surrounded by architectural and natural beauty. Stunning views abound, right from your table. 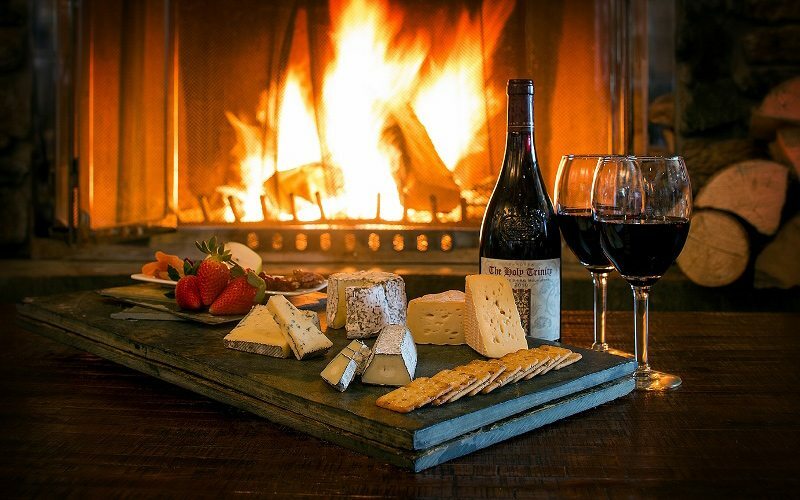 For a cozy atmosphere and classic après warmth, head to one of Banff National Park’s most coveted eateries, Walliser Stube restaurant and wine bar. Choose from a tempting variety of classic Swiss, German and Alpine dishes influenced by regional styles, or experience the restaurant’s famous authentic Swiss fondue – an homage to the Swiss Mountain Guide heritage of Lake Louise. Artisan, locally grown, alpine-inspired food tastes even better at 5,200 feet. For hearty comfort food and a friendly après atmosphere to remember, head to Lake Louise’s newest hot spot, Alpine Social. Don’t forget – calories don’t count in the Rockies! 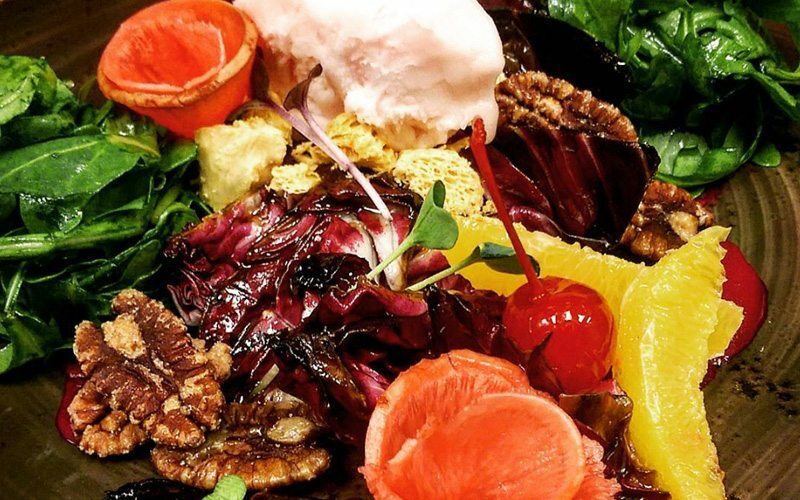 Lake Louise Ski Resort is home to Whitehorn Bistro, serving up impressive alpine fare on-mountain. Photo: @brizzy7262 on Instagram. Secret lookouts and unique discoveries await you after dark. Journey into the woods of Lake Louise on snowshoes and enter a world of stillness and mystery. If the skies are clear and ready for stargazing, your guide will point out the constellations that can be witnessed in our hemisphere. Beautiful, snowy vistas are magnificent when enjoyed in the moonlight! Snowshoe tours can be experienced at both the Lake Louise Ski Resort and at the Fairmont Chateau Lake Louise. 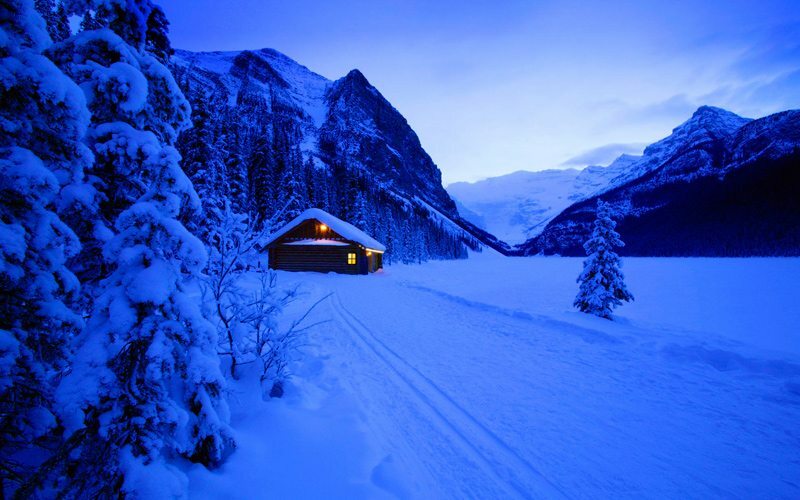 Experience the beauty of Lake Louise after dark with a night owl snowshoe tour. Photo: Canada Alive. Ready for the adventure of a lifetime in Banff National Park? 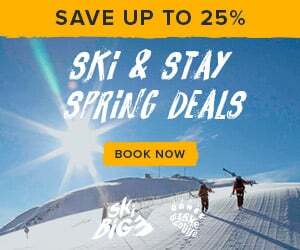 To book your next ski Banff & Lake Louise vacation with SkiBig3, check out our featured ski and stay vacation packages or call us at 1-844-754-2443.